Christian Dior. Oh Dior Dior Dior. I could be addicted to Dior. But I figure there are worst things to be addicted to right? A recent dash into Sephora with Vanessa and Anne found me, as usual loitering with intent around the Dior stand. 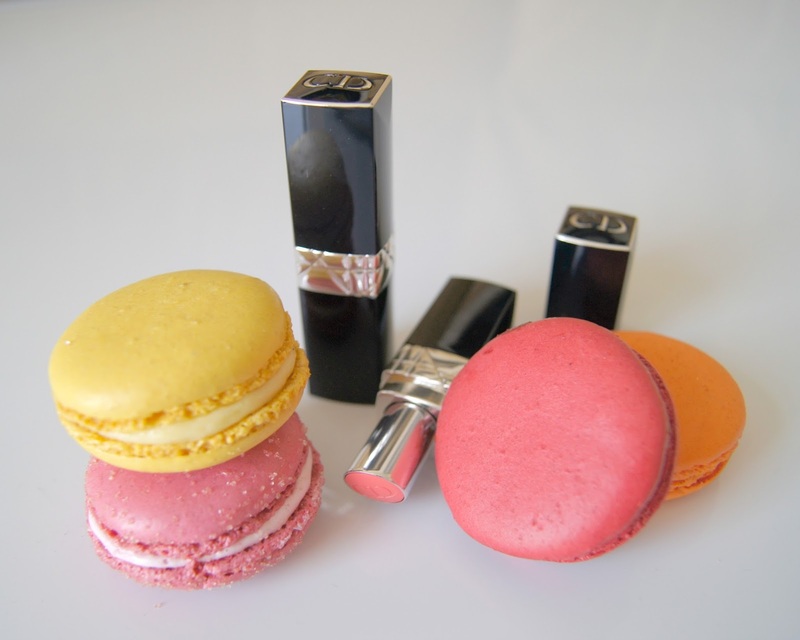 And I noticed the new 'Rouge Dior Baume' lipsticks had launched here in Dubai. Coming soon to the UK I believe. 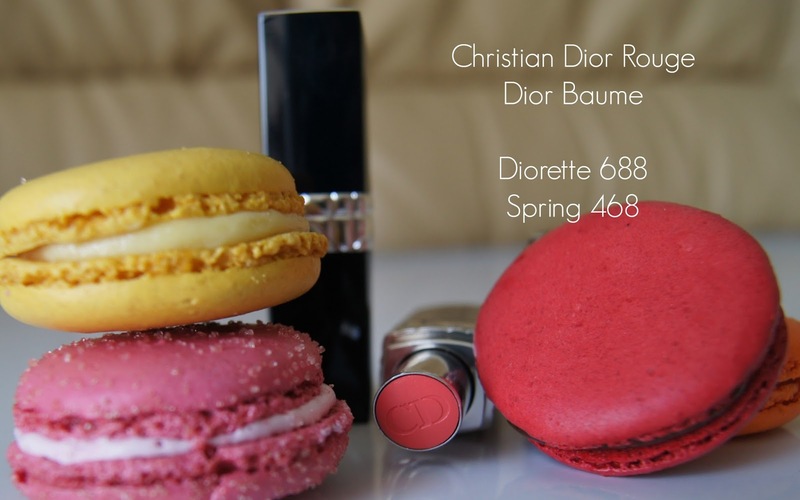 I am a huge fan of the original Rouge Dior formula which launched last year and have amassed quite a collection. Not to my epic Mac lipstick collection proportions but it's getting there and is certainly in double figures. See my first post on them here. For me, these would be the perfect Spring/Summertime launch rather than Fall given that I see myself getting most use out of them then. 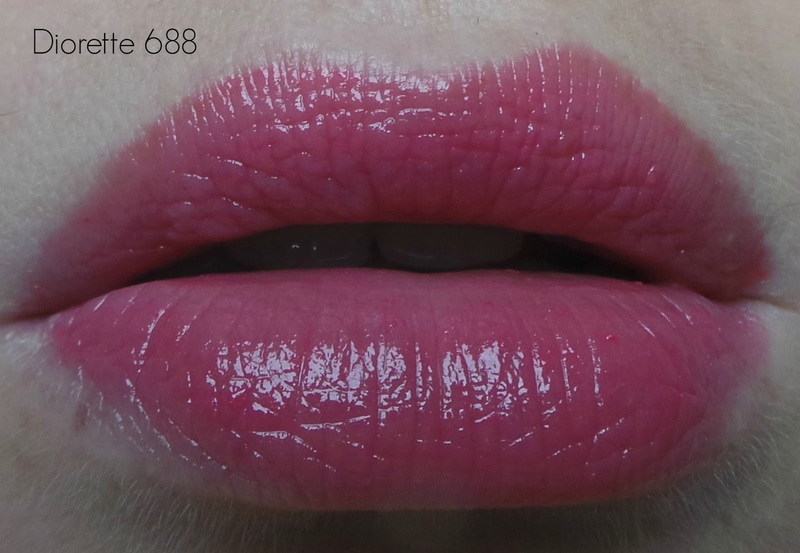 The perfect 'throw it on' sheeny shiny colour that perks up your lips with zero maintenance. 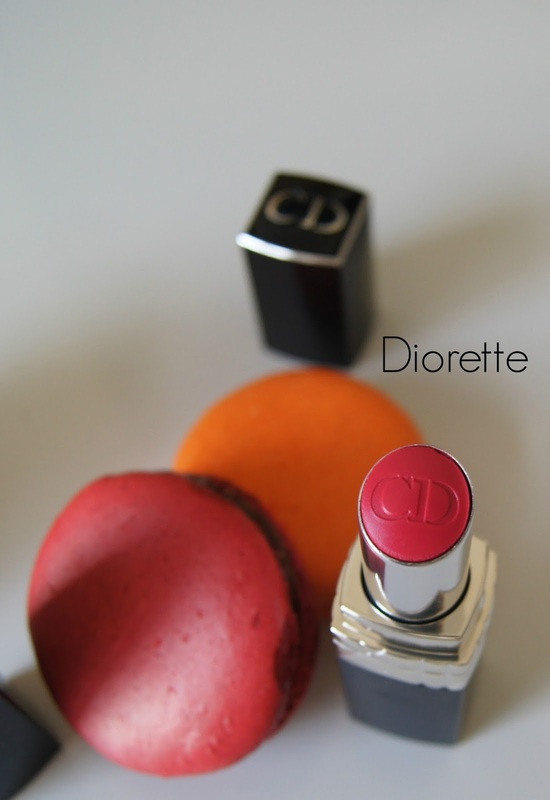 The packaging is very elegant, a slimmed down version of the big sister Rouge Dior. Personally I love the navy blue with silver trim. Swish. Girls who love the TF engraved into the nib of Tom Ford lipsticks, only to momentarily despair when after one swipe the initials disappear are going to go through the same trauma with these lipsticks. The engraved 'CD' didn't even survive the swatch on my hand. Happily the formula makes up for it. Those who dislike heavy, high maintenance pigmentation and texture are bound to find a good match here-the texture is light, balmy and hydrating. There are 19 shades varying in pigmentation and the two I chose, Spring and Diorette have a lovely non sticky, glossy, sheer, almost slippy consistency. But not too slippy, there is no wandering outside your natural lip liner which is sadly a condition I am afflicted with with many a lipstick. Surprisingly good wear time also for such a light formula-especially from the slightly heavier pigmented 'Diorette' shade. My lips felt completely hydrated and nicely plumped. 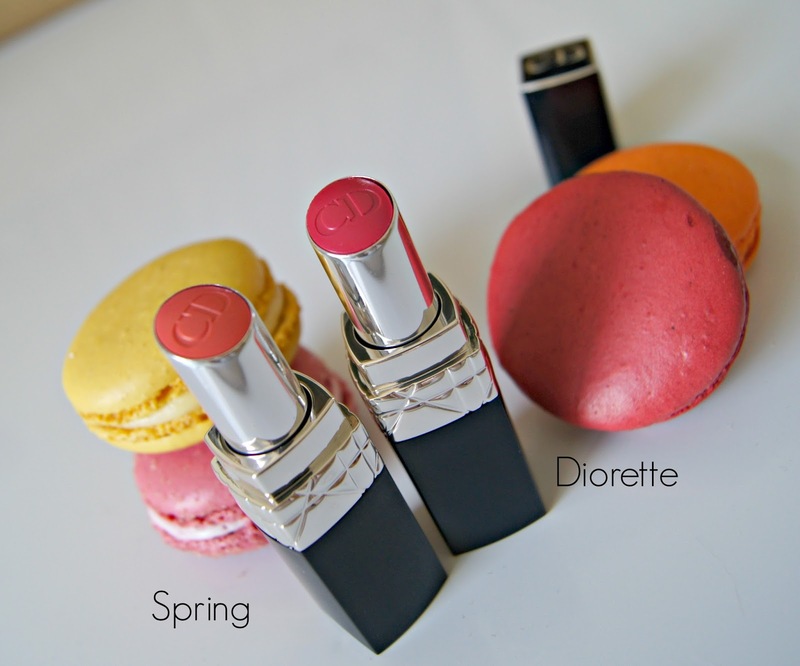 I wasn't sure I was going to love them as I haven't been a big fan of previous Dior sheer lipstick launches (Dior Charmante and Bow lipsticks from the Cherie Bow 2013 collection ended up in my blogsales due to poor pigmentation) but Dior is ticking all my boxes with this new formula. Thoughts? Has Dior missed the boat launching a sheer glossy lipstick in Fall when bloggers are reaching for deeper vampier berry shades? 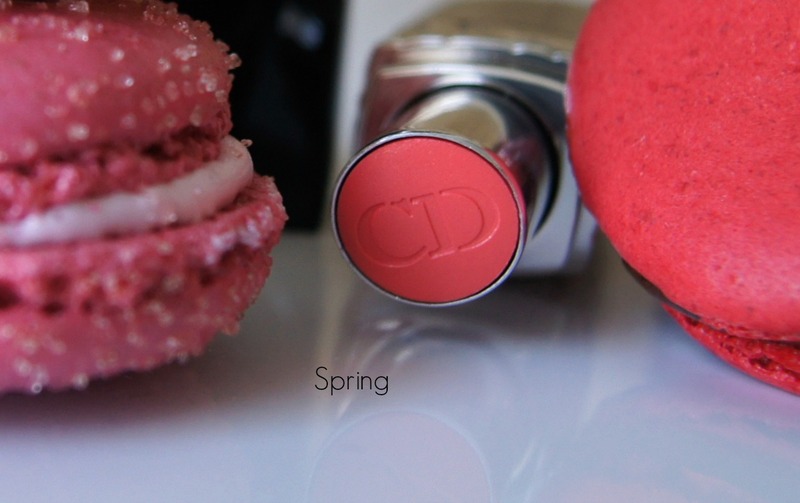 Or is there never a wrong time for a Dior lipstick? I'm firmly in the latter category.